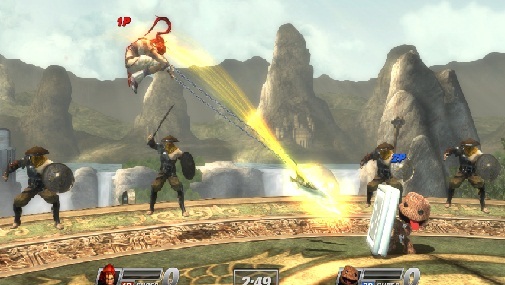 SuperBot Entertainment has announced that two new stages will be making their way to PlayStation All-Stars Battle Royale via DLC. 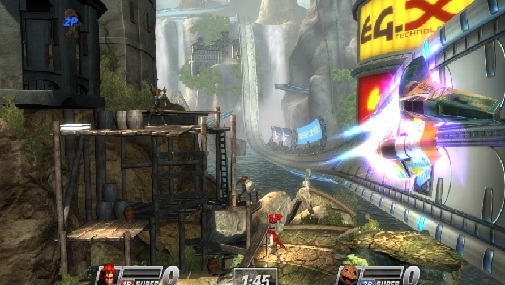 The stages will be mashups of Heavenly Sword and WipEout. They’re pictured above, have a look. These stages will be part of the same DLC, that offers two new characters as well: Kat from Gravity Rush and Emmett Graves from Starhawk. The DLC releases early next year and will be free for the first three weeks after its launch, after which you will have to start paying, unfortunately. We were much less critical of the PS Vita version, though. In our review of the Vita version, we said Battle Royale “a much better experience on the Vita than it is on the PS3” and gave it a score of 6.5/10. A patch for Battle Royale is also inbound. Read the details here.